These conditions are valid exclusively between the company IMPRESE FALCON s.r.l, with registered office in Piazza Cavour, 3 – 20121 Milan (MI), VAT 07498750962, hereinafter referred to as ”IF” and any person who makes purchases online on the website www.milanocard.it or that purchase IF’s products and services on affiliated websites that use IF payment systems, hereinafter referred to as “CUSTOMER”. These conditions may be subject to change and the date of publication of the same on the site is equivalent to the date of entry into force. These terms and conditions govern the purchases of the products and services of the IF made on the ww.milanocard.it website and on the affiliated websites that use IF payment systems, in accordance with the provisions of Part III, Title III, Chapter I of the Consumer Code , Legislative Decree. n. 206/2005, amended by Legislative Decree no. n. 21/2014 and by the Legislative Decree no. 70/2003 on electronic commerce. 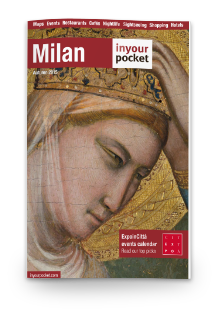 In 2009, IF created the service called “MilanoCard” (hereinafter also referred to as “MilanoCard” or “MilanoCard Service”) which consists in offering and providing to its purchasers the possibility of benefiting from discounts, facilitations and gratuities, the latter in contingent quantities or limited in time, at the circuit of commercial activities and services that have signed an agreement and/or collaboration with IF (the “affiliated circuit”), showing proof of purchase of the MilanoCard Service. IF has adopted and still adopts to a large extent, to convey the MilanoCard Service described above, the instrument of discount cards or even said “cards”, bearing the registered trademark MilanoCard, thus certifying that the customer has made the purchase. The MilanoCard Service must not, however, be identified in the “card”, since the “card” is only a simple material tool used to convey the MilanoCard Service as described above; consequently, as also specified below, the MilanoCard Service may be freely distributed by FALCON through any other vehicle other than the “card” and in its place, therefore by way of example and not by means of numerical codes or vouchers or e-mails or text messages or any other support and / or instrument decided, deemed suitable, approved and certified by FALCON and recognized by the affiliated circuit. The “affiliated circuit” is the set of subjects that propose and sell services and / or products – present not only in Milan but also in some of the main cities of Lombardy and in general Italian, including Rome, Venice and Florence – and that have subscribed a convention and / or collaboration agreement, in some cases exclusive, with IF, aimed, among other things, to recognize a facilitation (by way of example but not limited to: discount, gratuity, etc.) to the customers of the MilanoCard Service. The affiliated circuit also includes services and / or products created and / or managed directly by the IF or by companies connected to it. IF in turn is a retailer, in the name and on behalf of A.T.M. spa, of the travel documents of the Milan public transport network marketed on the website. With these general conditions of sale, IF sells and the CUSTOMER purchases the services indicated and offered for sale on the website www.milanocard.it or resold on affiliated websites that use IF payment systems. The contract is concluded exclusively through the Internet, through the access of the CUSTOMER on www.milanocard.it or on affiliated websites that use IF payment systems and the realization of a purchase order, products and services of IF, according to the procedure provided by the website itself. The CUSTOMER undertakes to examine, before proceeding to confirm his order, these general conditions of sale, in particular the pre-contractual information provided by IF and to accept them through the continuation of the purchase process. The CUSTOMER can also download and store a copy of these general conditions of sale, as provided for by art. 51 paragraph 1 of Legislative Decree 206/2005, amended by Legislative Decree 21/2014. Before the conclusion of the purchase contract, the CUSTOMER takes note of the characteristics of the services that are illustrated in the individual product data sheets at the time of choice by the CUSTOMER. – after-sales assistance conditions and commercial guarantees envisaged by the IF. IF declares that it has provided its dealers using IF payment systems an up-to-date copy of these terms and conditions, requesting their publication. IF is therefore not responsible for the non-publication and / or communication by the retailers and affiliates of these Terms and Conditions on theirs websites. IF is also not liable for any litigation that may arise between the CUSTOMER and its affiliates due to events that should happen in relation to the use by the CUSTOMERS of the affiliate’s website and / or retailer. The sales contract is considered concluded with the sending by IF to the CUSTOMER, through the support bank, of the payment receipt. The e-mail contains the data of the CLIENT and the order number, the price of the services purchased. The CUSTOMER undertakes to verify the correctness of the personal data contained therein and to promptly notify IF of any corrections. IF undertakes to describe and present the services sold on the site in the best possible way. Nevertheless, some errors, inaccuracies or small differences between the site and the real service could be highlighted. Furthermore, photographs of the events and services presented on www.milanocard.it and its sub-domains do not constitute a contractual element, as they are only representative. IF is not liable for information, photographs and general contents published on the websites of affiliates and resellers for the promotion and sale of IF services and products. The availability of services is not directly linked to the availability of the purchase and therefore to the fact that the sales channel is open. This availability must however be considered purely indicative because, due to the simultaneous presence on the site of multiple users, the services could be sold to other CUSTOMERS before the conclusion of the payment. Even after sending the order confirmation sent by the IF, there may be cases of partial or total unavailability of the service. In this case, the order will be rectified automatically with a refund or with the assignment of another date / time. Once the payment has been made, the customer will not be entitled to any reimbursement, except for the discretion of the RU or defects in the purchased service. Each payment by the CUSTOMER can be done only by means of the credit cards indicated on the website www.milanocard.it and its sub-domains or by Paypal payment method. In case of payment by credit card, the actual charge of the order amount will occur only when the order is complete. The communications relating to the payment and the data communicated by the CUSTOMER when this is done, take place on special protected lines. The security of payment by Credit Card is guaranteed by PayPal through VBV (Verified by VISA) and SCM (Security Code Mastercard) certification. All sales prices of the services indicated on the website www.milanocard.it and sub-domains are expressed in Euro and include all costs and taxes where applicable. The CUSTOMER accepts IF’s right to change its prices at any time, however the services will be invoiced on the basis of the prices indicated on the website at the time the order is created and indicated on the payment receipt. In the event of an IT, manual, technical, or any other type of error that could result in a substantial change, not envisaged by the IF, of the retail price, which makes it exorbitant or clearly derisory, the purchase order will be considered invalid and canceled and the amount paid by the CUSTOMER will be reimbursed within 14 days. from the day of cancellation. IF assumes no responsibility for disservices due to force majeure or unforeseeable circumstances, even if they are due to malfunctions and disruptions of the Internet, if it fails to execute the order within the time stipulated in the contract. IF is exclusively responsible for the MilanoCard Service, is not responsible for any failure to provide services by the affiliated circuit of which IF acts only as collector and promoter through “MilanoCard” as well described in the introduction. CUSTOMER is required to promptly notify the IF, merely for information purposes, of any disservices received at the affiliated services circuit; however, no responsibility can be attributed to IF for failure to comply with the contract of agreement by the affiliated services. The CUSTOMER has the right to access the site for consultation and purchase. No other use, in particular commercial, of the site or its contents is permitted. The integrity of the elements of this site, whether sound or visual, and the relative technology used remain the property of IF and are protected by the right of intellectual property. The website www.milanocard.it uses “cookies”. Cookies are electronic files that record information relating to the navigation of the CUSTOMER on the site (pages consulted, date and time of the consultation, etc. ..) and that allow IF to offer a personalized service to its customers. IF informs the CUSTOMER of the possibility to disable the creation of such files by accessing its Internet configuration menu. It is understood that this will prevent the Customer from purchasing online. Any controversy that does not find a friendly solution will be submitted to the exclusive jurisdiction of the Court of Milan except for disputes arising with consumers who benefit from the provisions of Legislative Decree 206/2005, article 33 letter U. In any case, it is possible to optionally resort to the procedures of mediation pursuant to Legislative Decree 28/2010, for the resolution of any disputes arising in the interpretation and execution of these conditions of sale by accessing the following site: https: // webgate.ec.europa.eu/odr. General sales conditions updated on 17th January 2017.